Hello everyone! I had a super busy long weekend so didn't have time to do many post. Time to make up for that now. Today I have Different Dimension Lapis Lazuli on my nails. 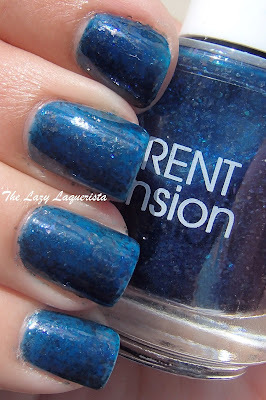 This was a polish that I flip flopped about buying. 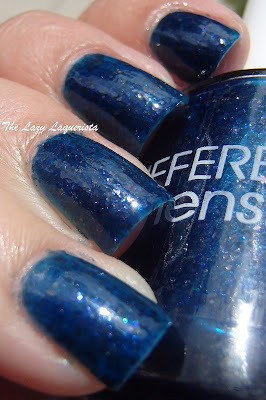 I already have so many blue polishes... do I really need another? The answer is yes. 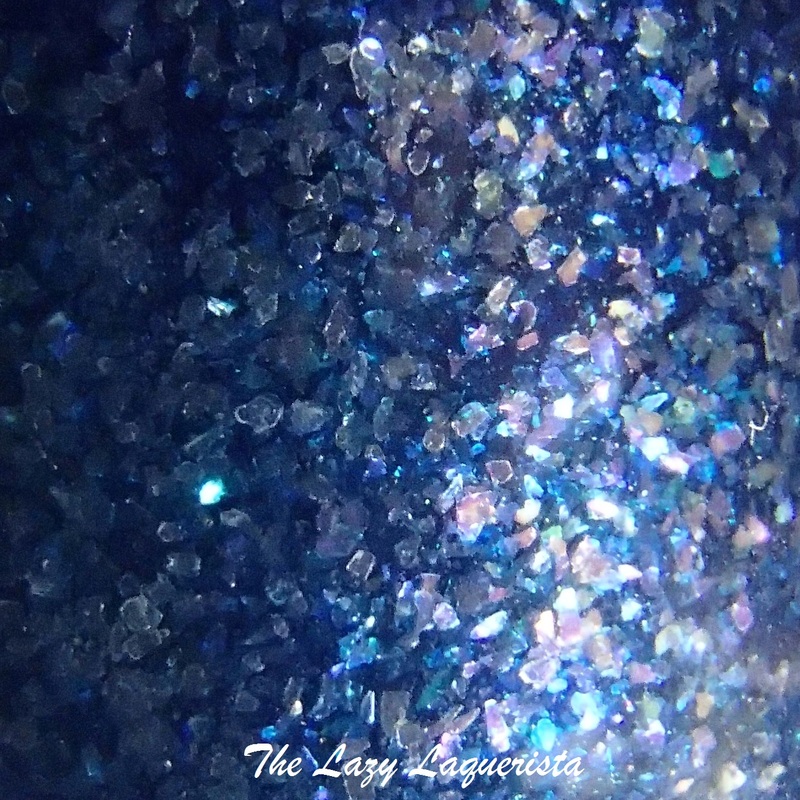 This polish has some amazing micro flakes that I haven't seen anything like before. It was inspired by the stone of the same name. 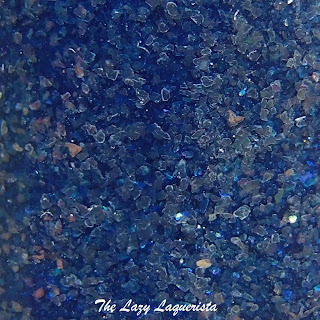 Lapis Lazuli features a cobalt blue jelly base packed with translucent microflakes that have a purple-copper shimmer. I used three coats of this polish and reached about 90% opacity. Where there are more flakes it ends up more opaque, so you can't see a clear nail line, you can just see that some spots are a little lighter than others. I don't mind this as it lends itself to the look of a stone. 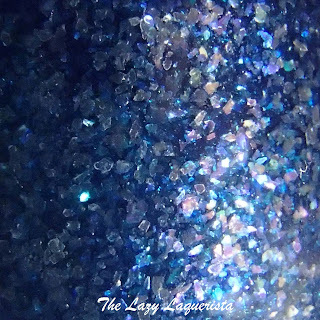 If this is something that bugs you then you can just layer Lapis Lazuli over a similar coloured creme polish. Application was very easy but I did find it did take longer than average to dry. 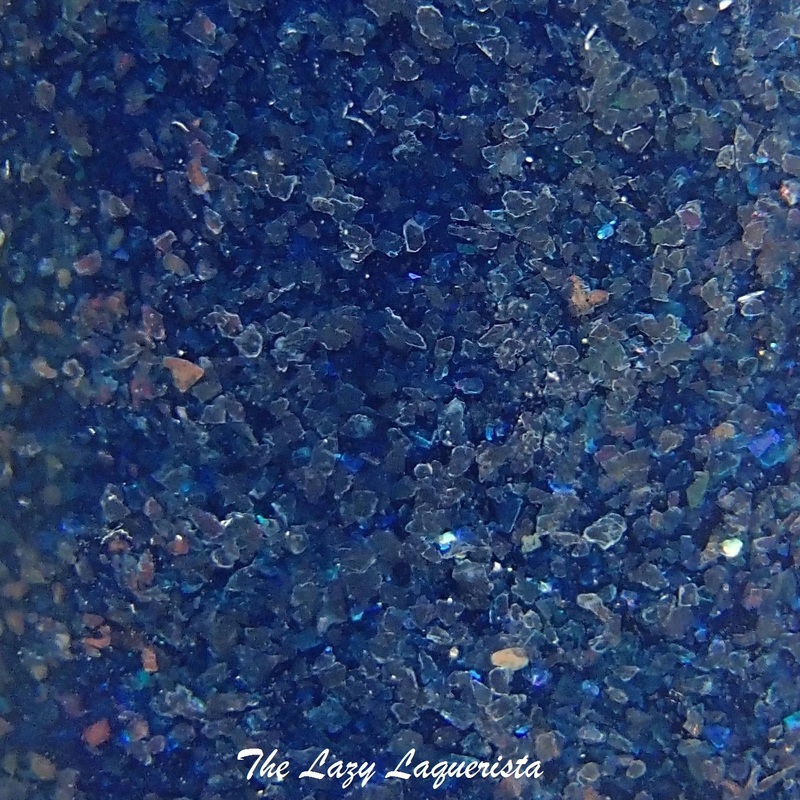 Photos show three coats of Lapis Lazuli with one coat of CND Super Shiney top coat in natural sunlight. 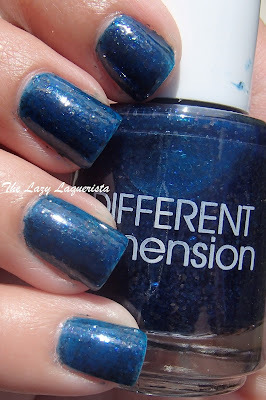 This polish is very unique. I hope the photos give you an idea of how cool the microflakes are. If you'd like a bottle of your very own check out the Different Dimension Etsy shop at http://www.etsy.com/shop/DIFFERENTdimension. 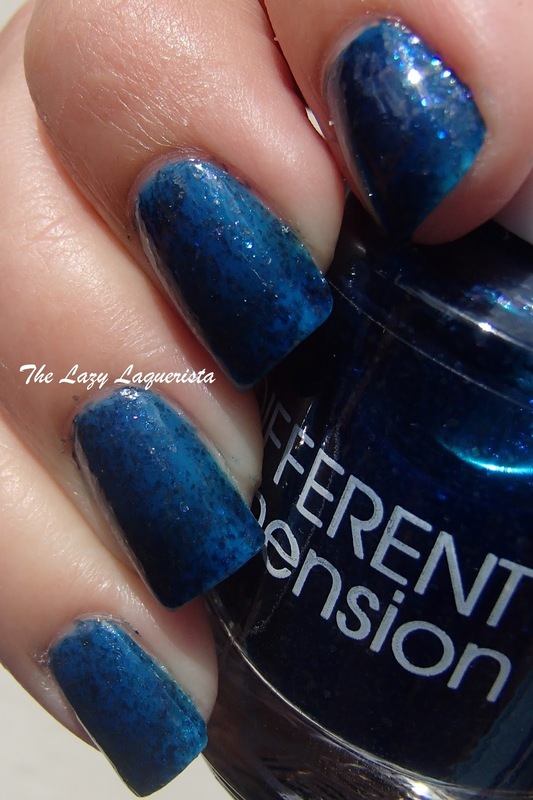 I think this would also look amazing layered over a very dark navy or black polish. Yet another thing to go on my polish 'to try' list.